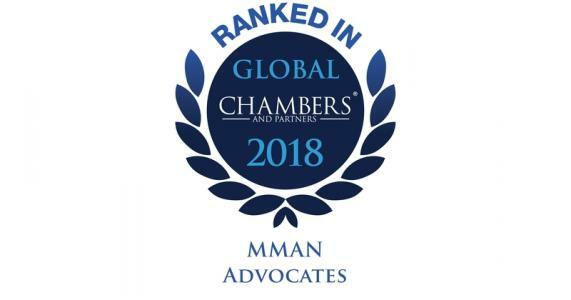 MMAN Advocates maintained its ranking as one of the leading law firms in Kenya in the latest edition of the prestigious Chambers Global, in which the firm and its lawyers are ranked in four different practice areas. Suzanne Muthaura, Partner, is ranked Band 2 in Corporate/Commercial category, an improvement from Band 3 in 2017. She is recognized for her expertise in handling private equity, TMT and infrastructure matters. Chambers Global quoted her peers saying, "She definitely deserves her ranking." Waringa Njonjo, Partner, is also ranked among the leading lawyers in this category. She advises on joint ventures and government concessions and has a deep understanding of the agribusiness, fishing and natural resources sectors. Jomo Nyaribo, Partner, is recognized as ‘Up and Coming’ lawyer in the Dispute Resolution category. Chambers Global notes that Jomo is earning a name for himself in the Kenyan legal community as an up-and-coming litigator. Other sources also note his increasingly active caseload.